The 'spacefish', a mysterious lighting product said to "change everything", will be a flashgun with an LED modelling light, the company has revealed. The ‘spacefish’, a mysterious lighting product said to “change everything”, will be a flashgun with a light emitting diode (LED) based modelling lamp, the company behind it has revealed. From this it might be fair to deduce that the furtive flashgun’s main light source is itself not made up of LEDs, as some Lighting Rumours readers had previously speculated. Instead, an LED lamp will illuminate the subject to give a preview of the light shaping (“modelling”) and help the camera autofocus before the main flash goes off for the photograph. The company is keeping mum on full specifications, form factor, price, applications, market, exact release date… indeed everything that is not mentioned above or in our previous article, they have not publicised yet. 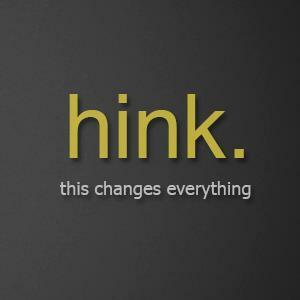 By revealing their product details bit by bit to the public like this, ‘Hink’ is taking a gamble: building up hype is likely to heighten customer expectations raising the potential for a big dent to the company’s reputation if the product launch turns out to be a damp squib. But would they make all this fuss over nothing as a pure marketing exercise? Let us wait and see if the “spacefish” project is something truly revolutionary. For now, you can find them on Facebook and follow them on Twitter.